There will be a farbrengen in honor of Rosh Chodesh Kislev tonight, Sunday, November 23, at Tzemach Tzedek following the 8:30 PM Maariv minyan. 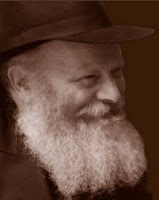 On Rosh Chodesh Kislev, five weeks after Shmini Atzeres when the Rebbe suffered a major heart attack, the Rebbe left his office in 770 Eastern Parkway and returned to his home, signaling his recovery. From then on, the first of Kislev is celebrated by Chassidim as a day of thanksgiving and rejoicing. For more on Rosh Chodesh Kislev click here.